Brady Linen is the premier hospitality laundry provider in Las Vegas, with expanded service in Mexico and the Bahamas. Brady Linen provides a wide variety of laundry solutions to our customers while exceeding their expectations with quality, service and integrity. Since its origin as Brady Industries in 1947, Brady has been providing service to the Las Vegas hospitality industry for decades. 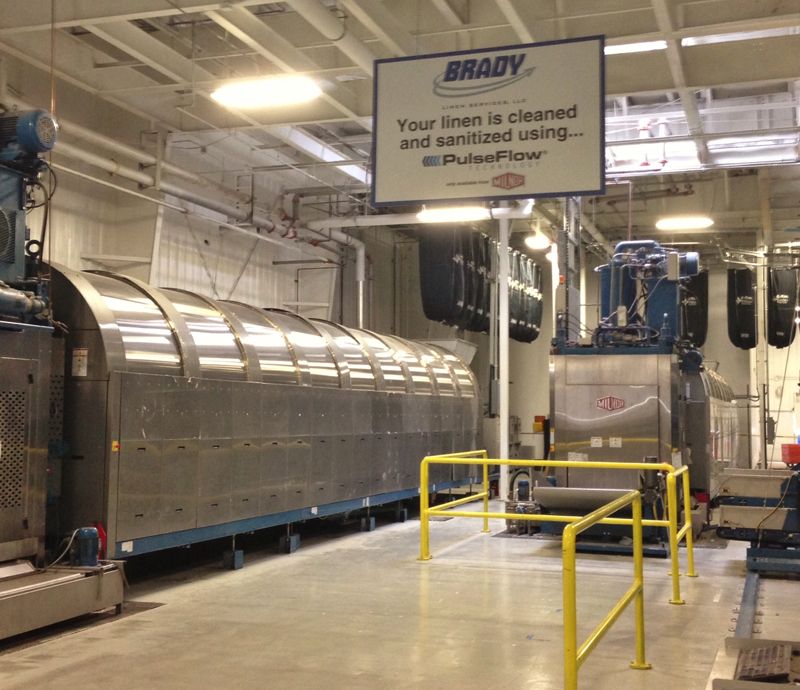 Initially a supplier of cleaning products, Brady Industries extended its offerings to include laundry chemicals and laundry equipment, as well as large-scale laundry design and construction. Brady Linen Services was formed in 2000 to address the demand for higher quality laundry service in the evolving Las Vegas market. 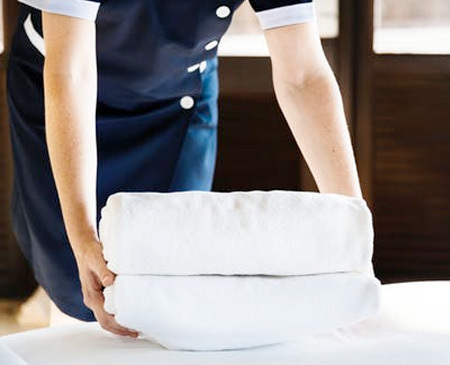 In 2014, Brady Linen expanded service into the Bahamas and Mexico, with a full offering of hospitality laundry services to area resort hotels, spas and restaurants. We believe our employees are our greatest asset. They are dedicated, highly trained professionals who always demonstrate the utmost in integrity and ethics. We build relationships with our customers to gain an intimate understanding of their business needs in order to deliver value added solutions through quality linen products, efficient processes and exceptional customer service. We are dedicated to finding solutions that are both technologically superior and cost effective. We are focused on continuous improvement and believe these guiding values will sustain Brady Linen and our customers' success now and in the future. We provide a full range of services so you can spend more time running your business and less time worrying about the little things. 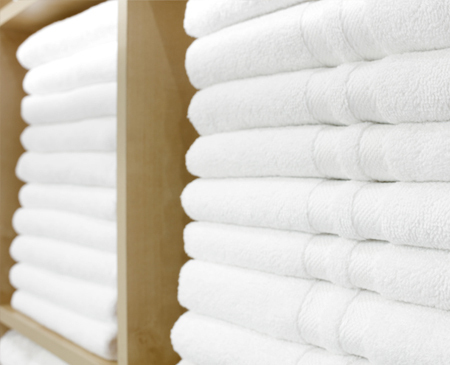 Brady’s housekeeping rental linen program takes away the hassle. 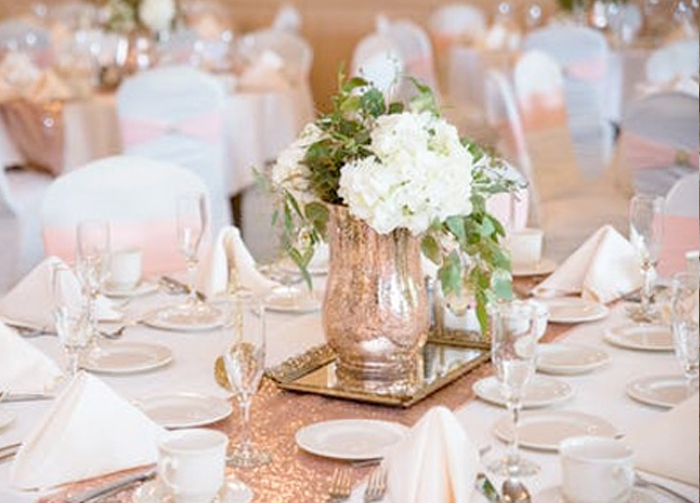 There are several linen collections to choose from to meet guest’s expectations and your linen budget. Brady’s Linen Control Representative visits each property daily to count each linen locker and ensure the next delivery replenishes par levels for each item. Smart phones linked directly to each Brady processing plant transmit orders quickly and accurately. Deliveries are made 365 days a year to meet your specific needs. 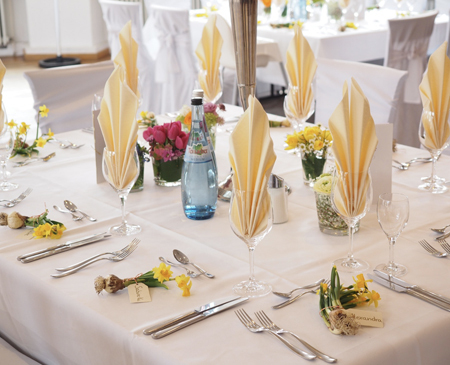 A full array of Pool Towels, Food & Beverage, Banquet linen and uniforms are offered with Brady’s Rental Program. Brady Linen operates plants that are efficient and flexible. While automation is employed to increase quality and reduce costs, we also operate conventional processing machinery. This allows each plant to meet the specific needs of ALL customer’s laundry. 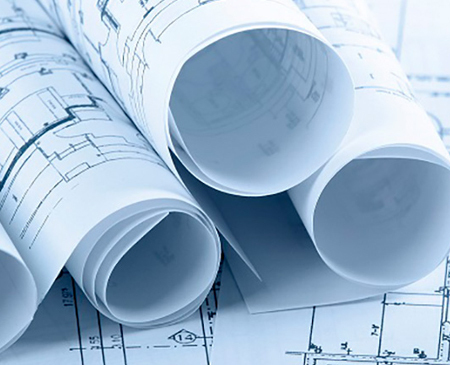 Whether you’re a 100-room property or a large integrated resort, Brady will develop a plan that meets your needs. We are sensitive to your specific requirements to pick up, process and return your linens as quickly as possible. Our Customer Service Representatives we work closely with you on all aspects of the COG laundry processing program. Brady Linen offers a comprehensive program to ensure that all clean linen hampers received each day are transported, offloaded and neatly stacked on each shelf of every linen locker. In lieu of standard dock delivery, Brady’s Total Linen Management Program provides trained on-site staff to bring soiled linens to the dock and to replenish each floor with the specified clean linen par levels. Customers reduce operating costs and staffing requirements. The Brady Linen Control Supervisor on property works closely with the Executive Housekeeper to troubleshoot or address any concerns. For years Brady has provided laundry design and consultation to leading hotel and gaming companies throughout the world. Since we have owned and operated laundries since 2000, Brady enjoys a unique prospective in developing laundry solutions for our customers. Professional services offered to potential clients range from on-site surveys and audits of your existing laundry operation to full laundry consulting services on new operations. Brady Linen can also offer short term or long term management and training programs for your resort. Feel free to reach out to us to discuss your requirements 24/7/365 by calling 702-639-2500. Brady Linen facilities demonstrate our commitment to quality, safety and sustainability. Our processes are clean and green, highly automated, and use the latest technology in the industry. At Brady Linen, we recognize the importance of operating facilities that effectively use the latest in laundry processing technologies. Not only do these technologies allow us to operate more efficiently, but they enable us to provide customers with unparalleled quality in our linen processing. We have made significant capital investments in our facilities to ensure that our customers benefit from these technological advances including automatic sorting, linen tracking, optical sheet scanning, electronic invoicing and real-time customer reporting access. Our in-house engineering team adheres to a daily preventative maintenance program, and monitors our customized chemistry and wash formulas to ensure consistent performance and quality. With multiple full service facilities surrounding Las Vegas, we are able to provide our own backup service, allowing us to ensure uninterrupted service and deliveries to our customers 365 days each year. Copyright 2019 Brady Linen Services. All rights reserved.